This year I've really been trying not to buy any more books as my TBR shelf is more of a bookcase, and it's kind of ridiculous. 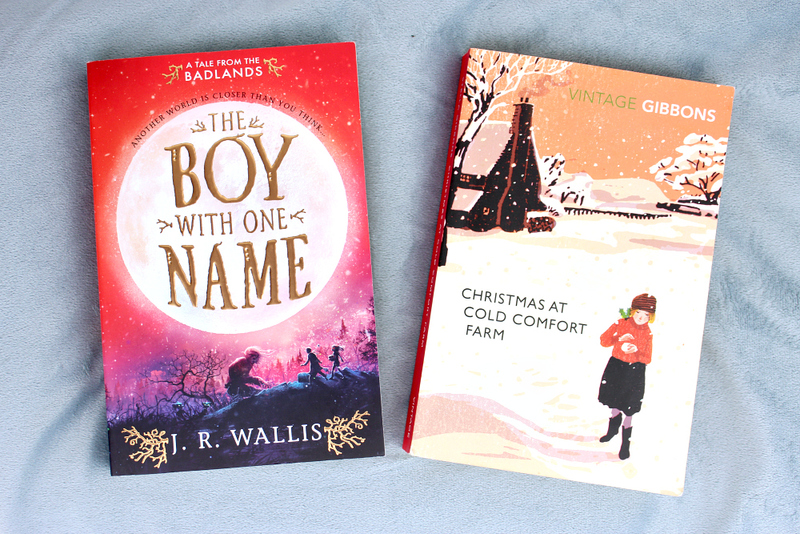 But between going on holiday (always a danger for my bank account) and constantly hanging around the book aisle of supermarkets, I ended up buying a few books in August as well as receiving a couple. There seems to be a bit of a red theme going on, but look at those gorgeous spines won't you? 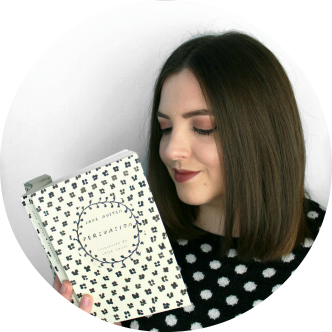 I've been following Emma of Drinking by my Shelf's idea of Balancing the Books, where I total up the books I haul each month and balance them with the books I read by getting rid of some of my other books. 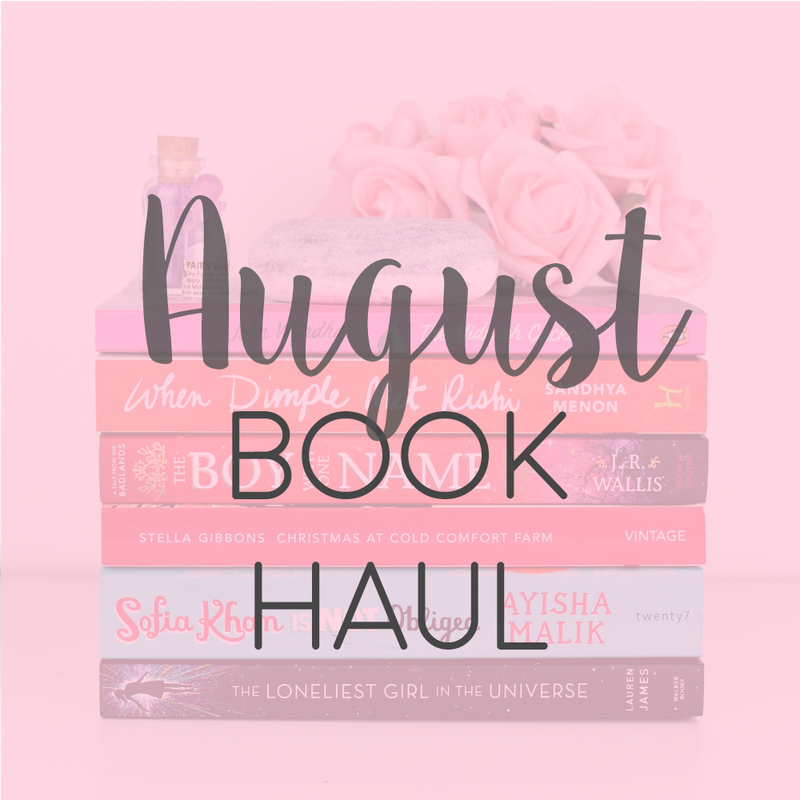 I ended up acquiring six books in total and seeing as I only read four books in August that means I have to get rid of two books *cries* but I'm sure there's some on my TBR that I no longer fancy. So anyway, let's have a look at the books. The embarrassing thing is, I actually already own this! But the copy I already had is a tattered old one from a charity shop, with a less than stunning cover. So when I was visiting the Book Corner in Saltburn by Sea, I couldn't resist this gorgeous edition. 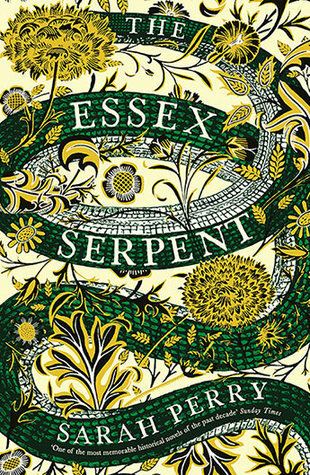 I really enjoyed The Day of The Triffids by John Wyndham so I really want to get to this. It might be a great creepy Halloween read. Dimple has plans to attend a summer camp for web developers, not knowing that her parents have planned her future arranged marriage to Rishi, a hopeless romantic with traditional values, who will also be at the camp. When Dimple Met Rishi has had perhaps the most hype of any YA in recent years so I thought it was about time I found out why. The lovely Jessica noticed that I mentioned this book in my Mid-Year Book Tag and offered to send me her copy because she was finished with it. Isn't that just the nicest thing? So I'm super excited to get to this one, I'll probably be reading it soon, before every last vestige of summer completely disappears. I'm not going to lie, this was a total cover buy. I was loitering in the book section of my local supermarket and spotted this beauty and after finding out that it's a middle-grade with fairytale/supernatural elements (my weakness), I just had to have it. I'm pretty conflicted about buying books from supermarkets as I think that the author doesn't benefit well from these sales (I'm not sure on this, someone please educate me! ), but I do make the occasional purchase. I've already read this one and will be reviewing it in my September wrap up, but for now I'll say that it's a nice, quick read, but nothing mind-blowing. First published in 1940, Christmas at Cold Comfort Farm is a collection of witty short stories (including the hilariously festive title tale) from Stella Gibbons. Christmas at Cold Comfort Farm was 50p at a village summer fair that we stumbled across over the bank holiday weekend and I just couldn't resist the vintage red spine. I love these classics from vintage, mainly because they look so good on a shelf, but I was also intrigued by Stella Gibbons' writing. I think this one will be great for dipping in and out of on my commute nearer the festive period. 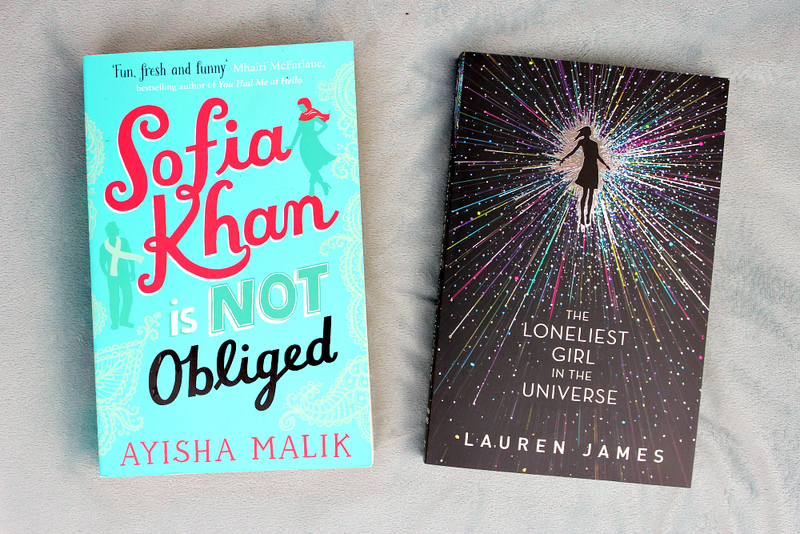 I've heard a lot of good things about Sofia Khan is Not Obliged on various blogs and booktube channels so I was excited when I saw it on the bargain shelf of an independent bookshop in Whitby (I forget the name of the shop, eek!). A lot of people have said that it's a more modern Bridget Jones, and that sounds great to me. So I'm excited to give this one a go, hopefully it'll be an uplifting, easy read. Romy Silvers is the only surviving crew-member of a spaceship travelling to a new planet, on a mission to establish a second home for humanity amongst the stars. Alone in space, she is the loneliest girl in the universe until she hears about a new ship which has launched from Earth – with a single passenger on board. A boy called J. But what does Romy really know about J? And what do the mysterious messages which have started arriving from Earth really mean? Sometimes, there’s something worse than being alone . . . I first heard about The Loneliest Girl in the Universe at the Walker Books Christmas party last year where the proof cover was revealed and we all completely fell in love with it, and it's been one of my most anticipated releases ever since. Well nine months later, it's finally here in all it's beautiful foiled glory! I've already read this one (in two sittings nonetheless) and I FREAKING LOVED IT. Seriously, it was brilliant. You need this one guys, you really do, go and buy it! So there we have it! 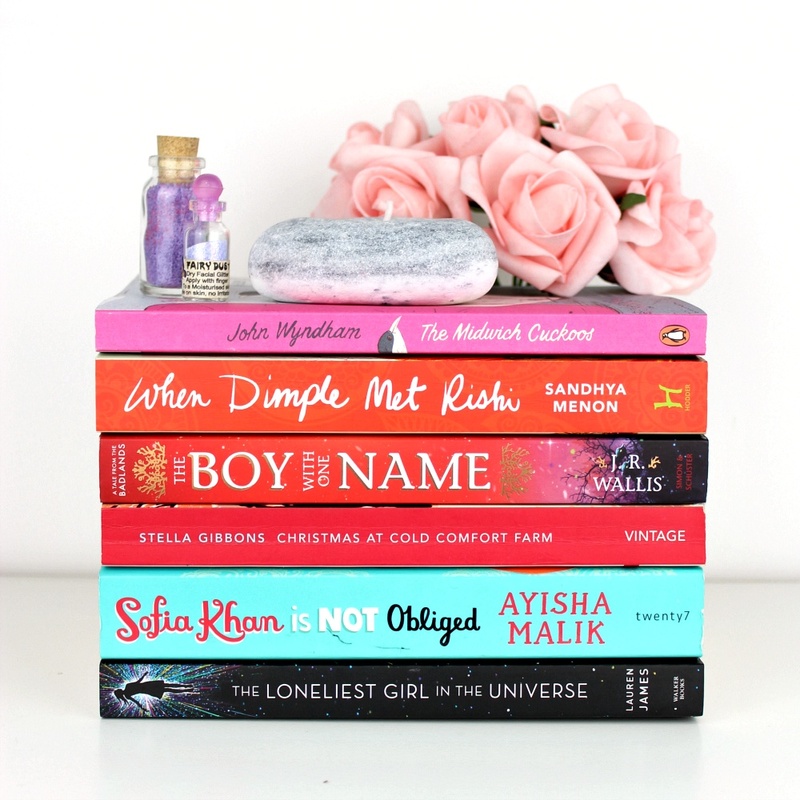 The six books that I acquired in August, in all of their beautiful newness! Have you read any of these books? 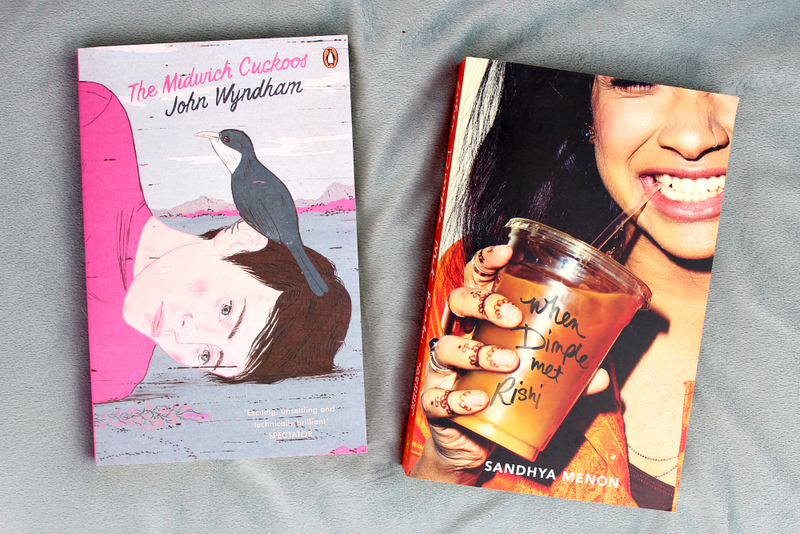 Which one should I read next? Let me know!